1. In a large plastic bag with a zip lock, pour in angel food cake mix and lemon (or other flavor) cake mix. 2. With the plastic bag sealed, mix the two dry cake mixes together. 3. 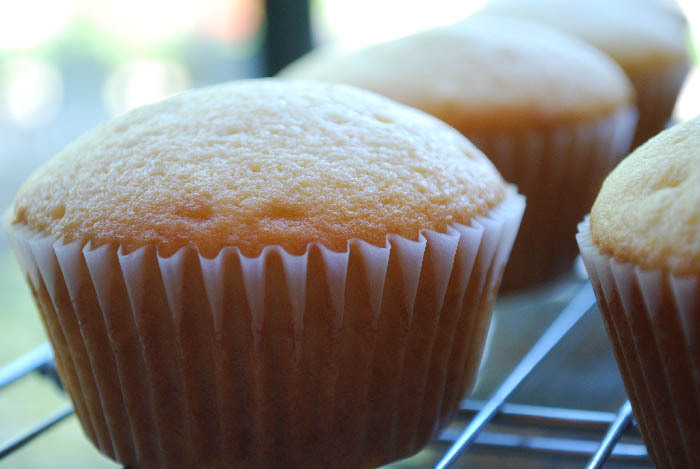 Use mix to make a single cupcake or a whole batch by following steps 2 through 6. 4. Spray a small custard dish with non-stick cooking spray. 5. Measure 3 tablespoons of the dry cake mix and place into a greased custard dish. 6. Add 2 tablespoons of water and mix with a small fork. 7. Place in the microwave and cook on high for one minute. 8. Slip cupcake out of the custard dish. Cool one minute before enjoying.